Exclusively Ours! An Allan Robin Design!! Cadmium, Lead & Nickel Free!! New! Bright Silver Tone Plate With Etched "Keep My Husband Safe" On Dual Banded Black Suede Leatherette Bracelet Fastened With Lobster Clasp! 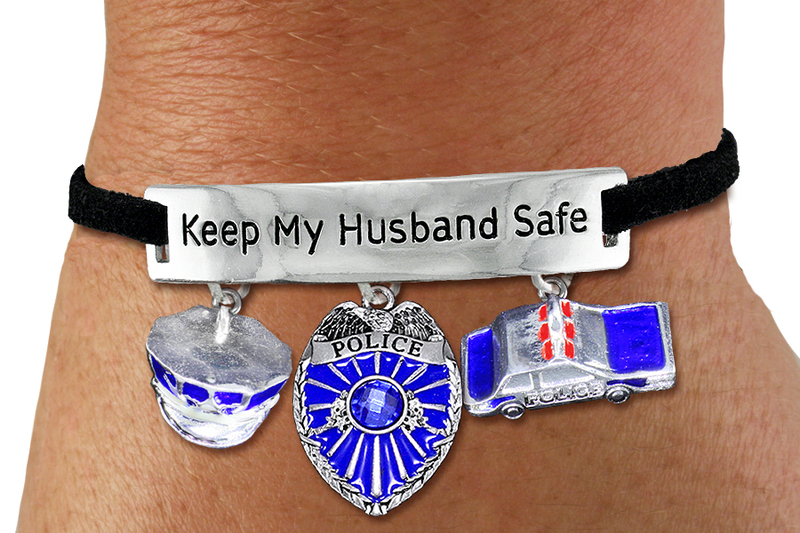 Comes With Beautiful Crystal Accented And Color Filled Police Shield Charm And A Police Car And Police Hat Charms. Bracelet Measures: 7 1/2" Long With 1 1/2" Extender.